RNases are important enzymes of cell metabolism, influencing gene expression, affecting cell growth and differentiation, and participating in cell defense against pathogens and induction of apoptosis. Since RNases mostly occur in complex with their inhibitors in the cell, the inhibitors also play a role in the above processes. 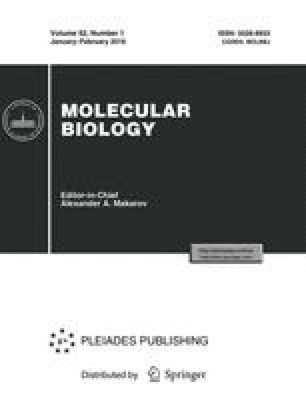 The review considers natural protein RNase inhibitors of animals, plants, and bacteria, as well as synthetic low-molecular-weight inhibitors. Special emphasis is placed on the prospective use of RNase inhibitors in the therapy of cancer and allergy. While RNases are widespread, the number of the available natural and synthetic inhibitors is limited. A pressing problem is to design highly effective low-molecular-weight inhibitors of the RNase activity of angiogenin and eosinophil-associated RNases for anticancer and antiallergy therapy. Original Russian Text © G.I. Yakovlev, V.A. Mitkevich, A.A. Makarov, 2006, published in Molekulyarnaya Biologiya, 2006, Vol. 40, No. 6, pp. 962–970.